Wintertime. There I said it. I always hate thinking about that time of year – especially right now when the fall weather has turned beautiful here in Ohio. So…instead of thinking about the cold winter months ahead, I choose to stay positive and think instead of next spring and summer’s garden. Actually, much like a great lawn – what you do now and in the coming months can make a huge difference in the success of next year’s garden. 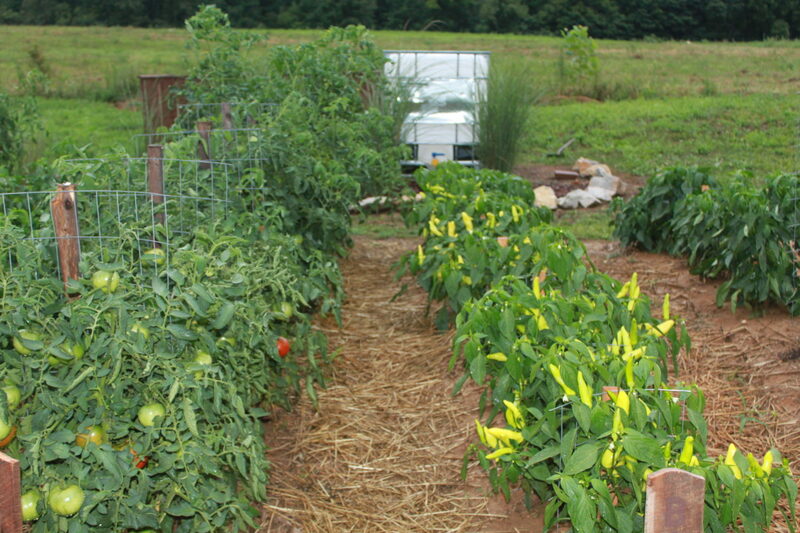 Here are four things you can do NOW to really jump-start your 2013 garden. Although contrary to what we normally do – which is compost everything we can – we don’t compost our pepper and tomato plants from the garden. We actually throw them on our burn pile and burn them with fallen sticks, etc. Why? Just too much chance for any plant disease to get passed through to the soil for next year. In addition – the odd green or damaged fruit still on the plants, along with their thousand of seeds, are something we prefer to keep away from our compost pile. Don’t let those weeds overwinter in your garden. Clean them out now and prevent weeds from going to seed, digging deeper roots – and doubling your weeding efforts next year. Chopped leaves and compost are the stars here. Dig in generous amounts of compost to your raised beds or garden. And start collecting those falling leaves now! If you don’t have access to your own – make a trip around local neighborhoods and collect the bags or piles of leaves that accumulate at the curb. We use our push mower to shred the leaves. Then, we dig in generous amounts to our raised beds to decompose. Even better, use the leaves as a mulch on your beds over the winter – helping to keep valuable soil from eroding. Just dig into the bed’s soil in the spring. For an even better mulch – try #4. 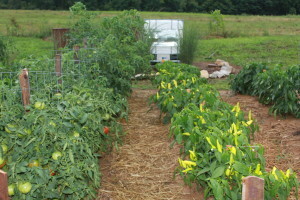 Just like the “big farmers” do – our gardens and raised beds benefit greatly from a cover crop. We have already begun to plant our cover crops in the rows we have cleaned out. We use annual rye – a great choice to help add lots of organic matter and nutrients to your soil – and also protect it over the winter months from leaching all of the nutrients out of your bare soil. A good cover crop will dig deeply into your soil with their roots. This adds valuable organic material to your soil, along with adding plant loving nitrogen to the soil as the plants break down. 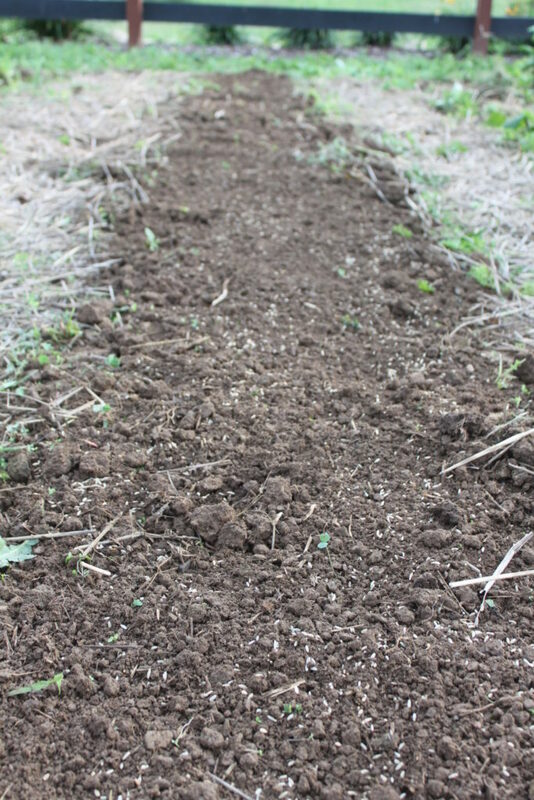 Then you can turn under your cover crop in the spring before planting. 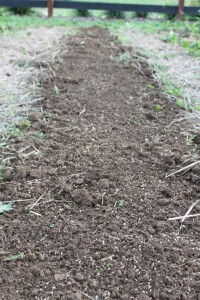 We get a lot of questions on the cover crops – especially – “Won’t they become weeds?” As long as you use an annual rye – and make sure to not let the grass go to seed, and turn over in the early spring – you should have no worries. All four of these steps are great ways to ensure a healthy, productive garden next year, and without having to use harsh chemicals and fertilizers.